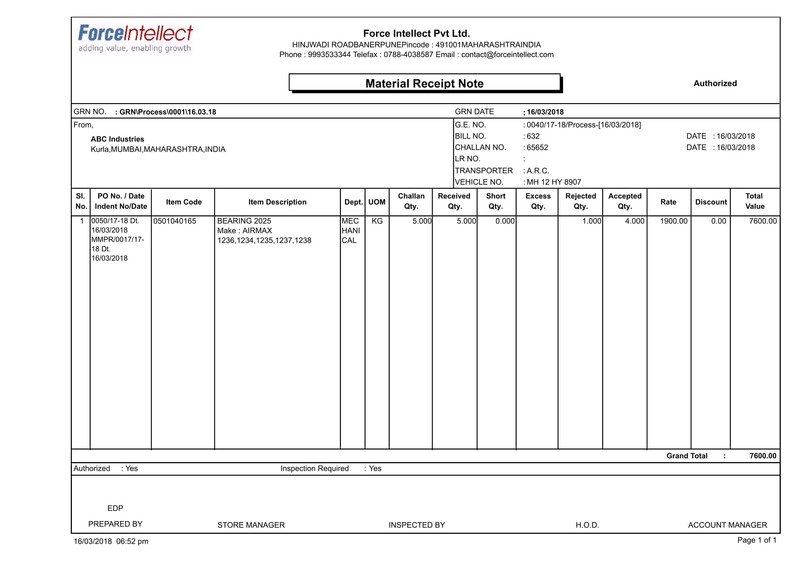 Standard Material Management formats will help in collecting relevant data of your operations. This will eventually help you bringing more visibility and control over your organization, hence helping it in becoming more efficient. RFQ – After reviewing the indent submitted by a particular department, Purchase Department can send a request for quotations to single or multiple vendors with information such as material required, quantity, schedule etc. 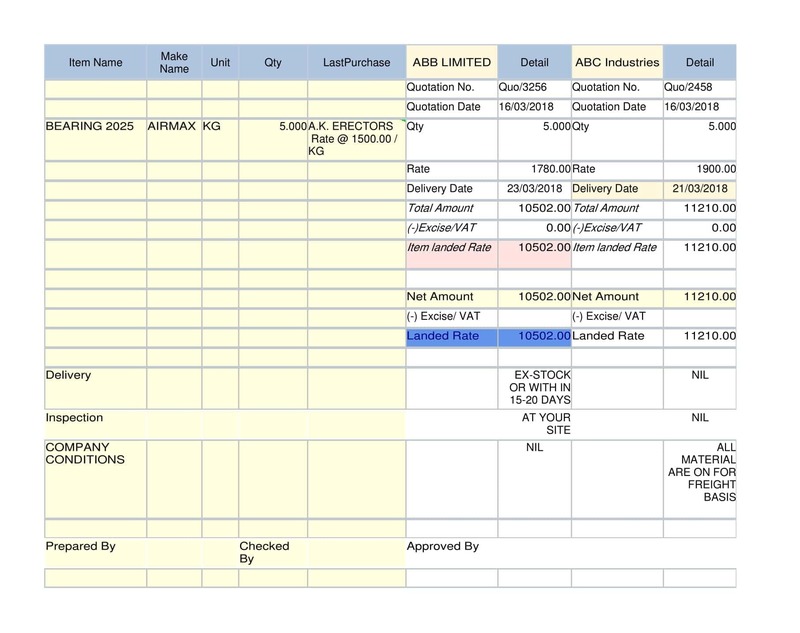 CS – If RFQ is sent to multiple vendors, their quotations can be compared based on different factors such as price or estimated arrival time with the help of Comparative Statements. 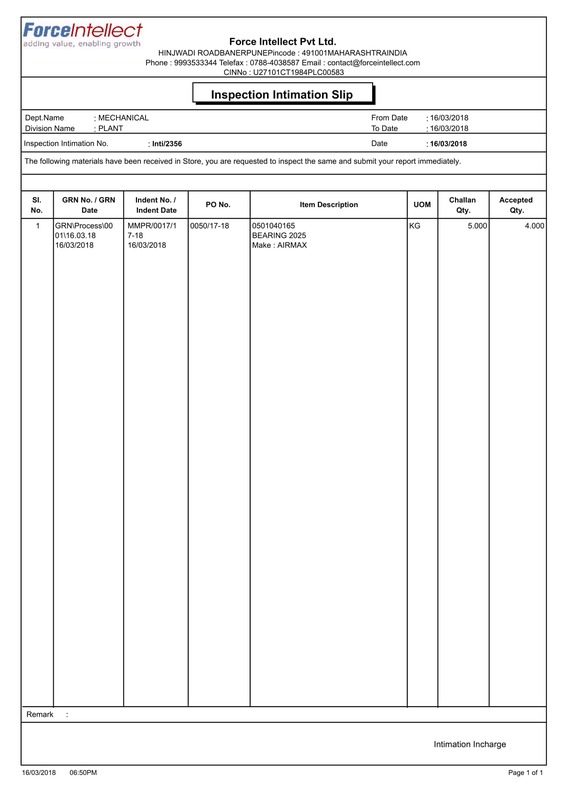 PO – After Comparative Statement, Purchasing Department selects a particular vendor. 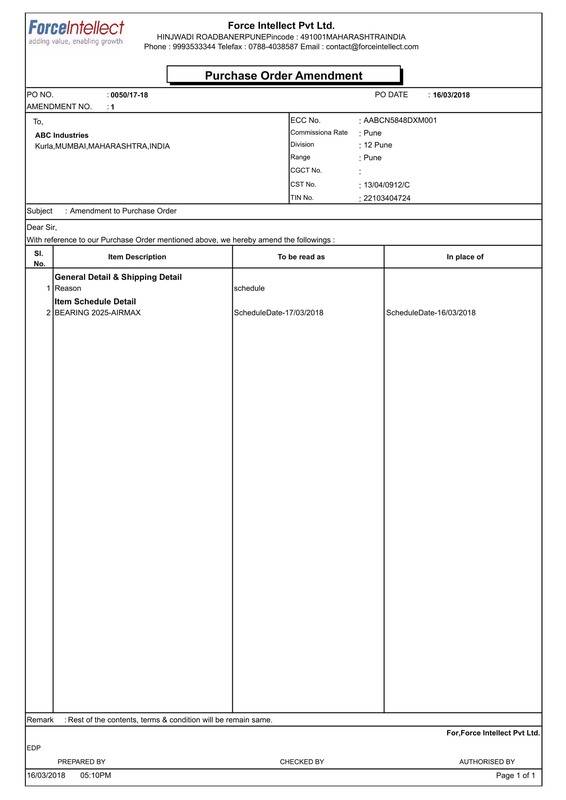 They can send a Purchase Order to the vendor with various details specifying their needs. PO Amendment- If PO needs some amendments like in schedule or in terms & conditions, it can be made in PO Amendment. Gate Entry – When the materials arrive, their details will be registered before they enter the industry, hence providing transparency. 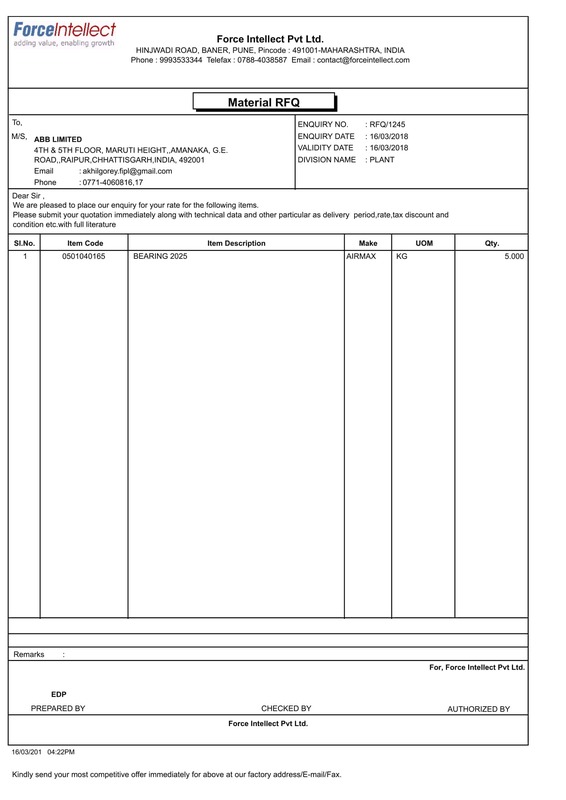 GRN – Goods Received Note (GRN) can be made against gate entry or Purchase Order. It is a comparison based on the indent i.e. if specified quantity and quality is achieved or not. An initial GRN is made primarily, final GRN is only made after final inspection. 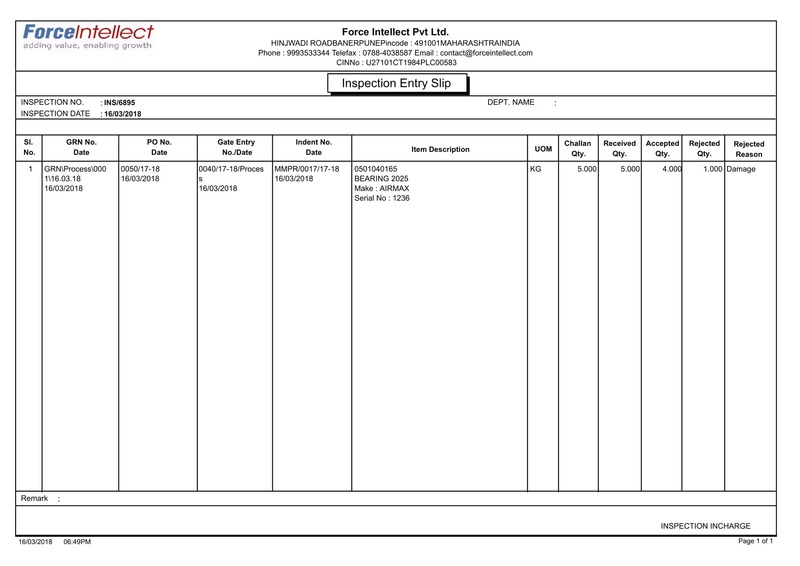 Inspection Intimation – After the materials are received they have to be sent for inspection to confirm their quality. 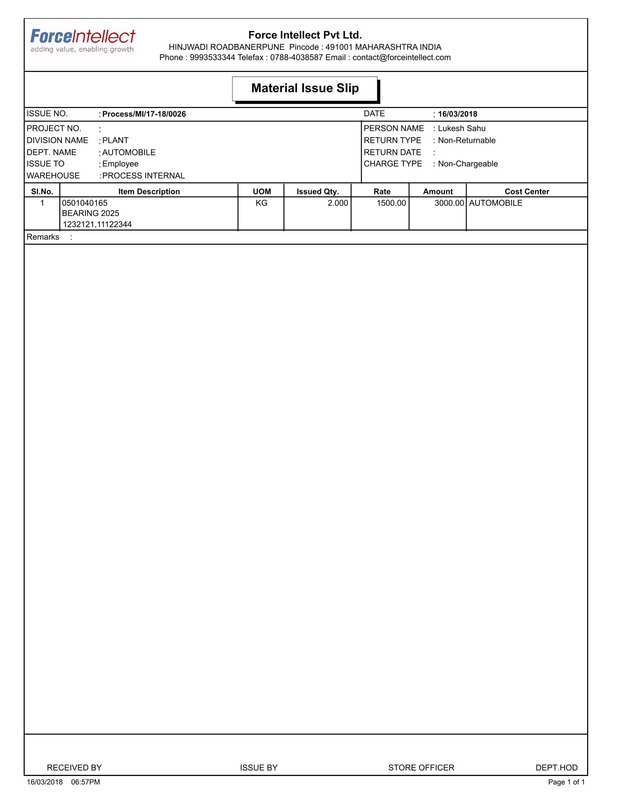 Inspection Intimation is a record of which material is sent where for inspection. 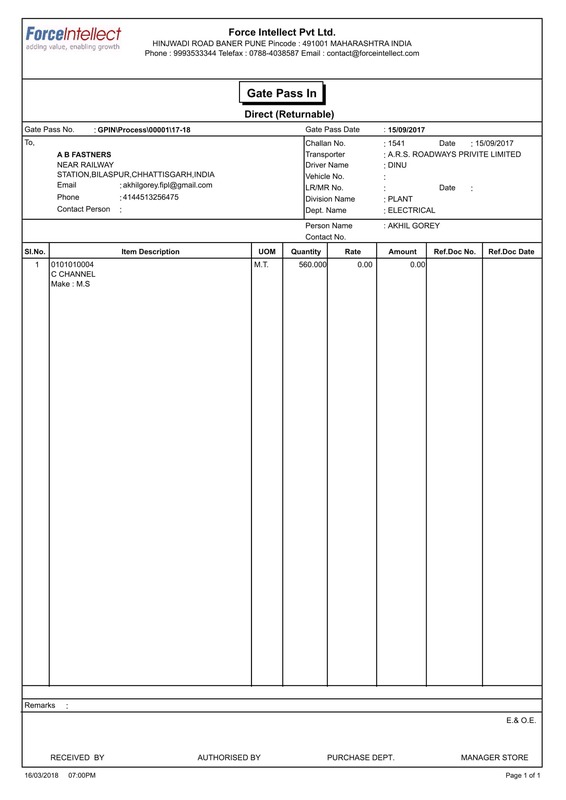 Inspection Entry – After the materials are inspected in their respective departments, their result is entered that will go automatically to GRN hence providing final GRN. 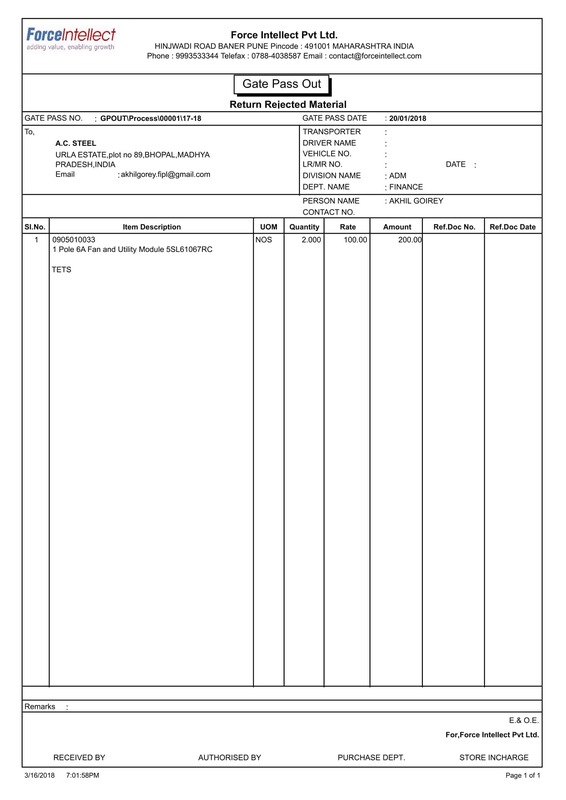 Issue Slip – An issue slip is generated to keep track of the consumption of materials received i.e. how much materials are issued to which department. 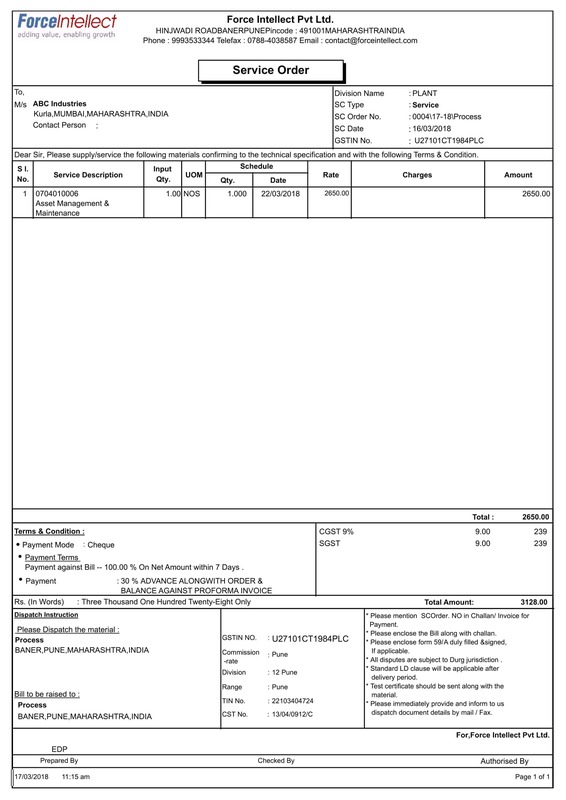 Service Order – If service of some kind is required a Service Order has to be sent. 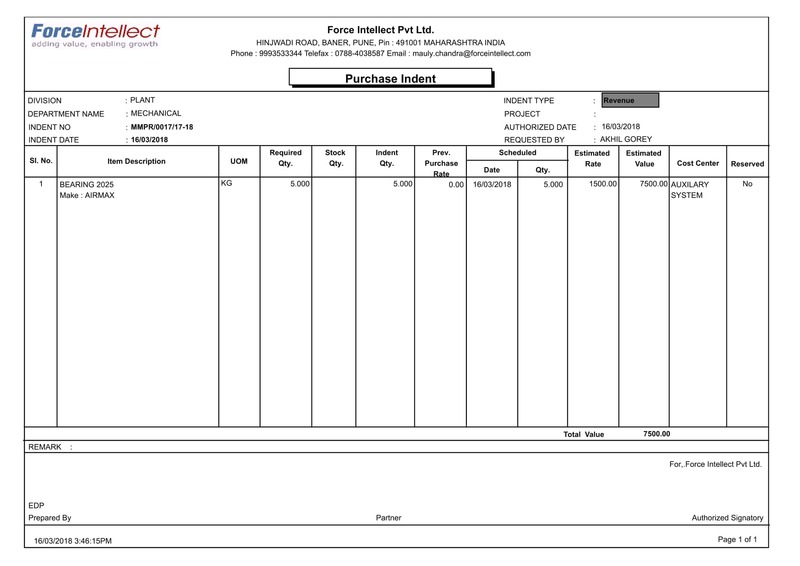 It is the equivalent to PO that is generated during procurement of materials. 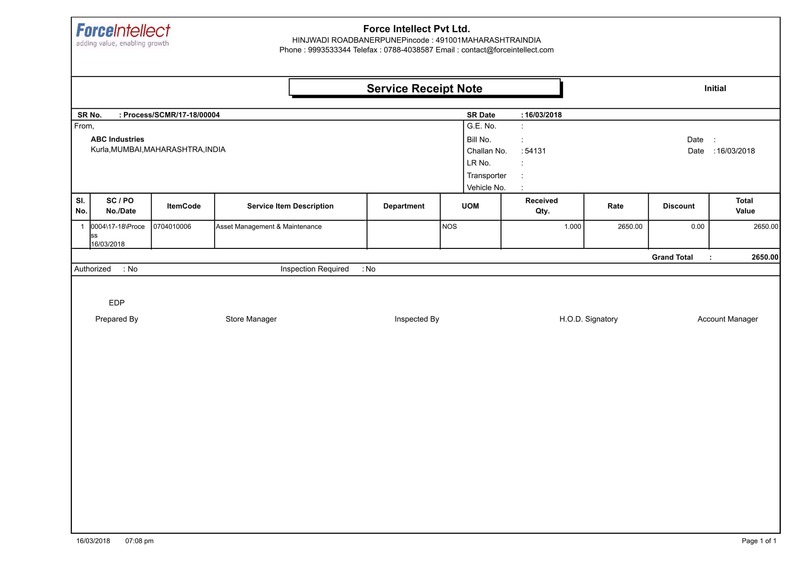 Service Receipt Note – A Service Receipt Note is issued as per Service Order. 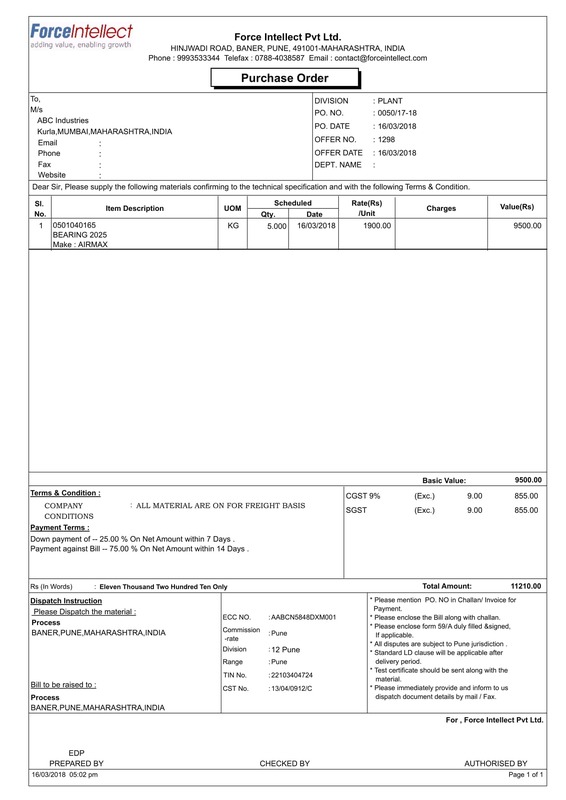 It compares the requirement of services asked in Service Order to services actually provided. It is equivalent to GRN in case of materials. 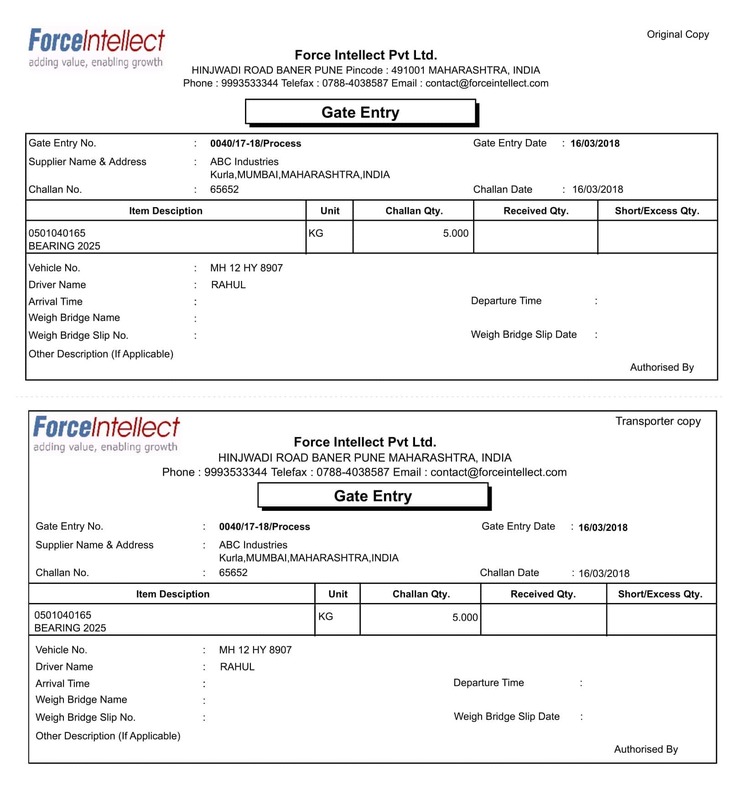 Gate pass In & Out – When a particular person enters the industry be it, contractor or visitor, a Gate Pass In is issued. It specifies the material that the person had on him/her, and when they go out a gate pass-out is issued which is compared to gate pass-in, hence preventing any kind of misconduct.